3' to 4' tall and 1' to 2' wide. Monarda Didyma 'Jacob Cline' is a fast and moderate growing perennial plant that can be grown in USDA Plant Hardiness Zones 4A through 9B. It matures to an average height of 3 feet to 4 feet and an average width of 1 foot to 2 feet, depending on climate and other environmental factors. It prefers growing in a location that provides full sun or morning sun with afternoon shade and grows best when planted in sand, loam, clay or silt soil that is well drained, moderately drained, moderately wet or consistently wet. 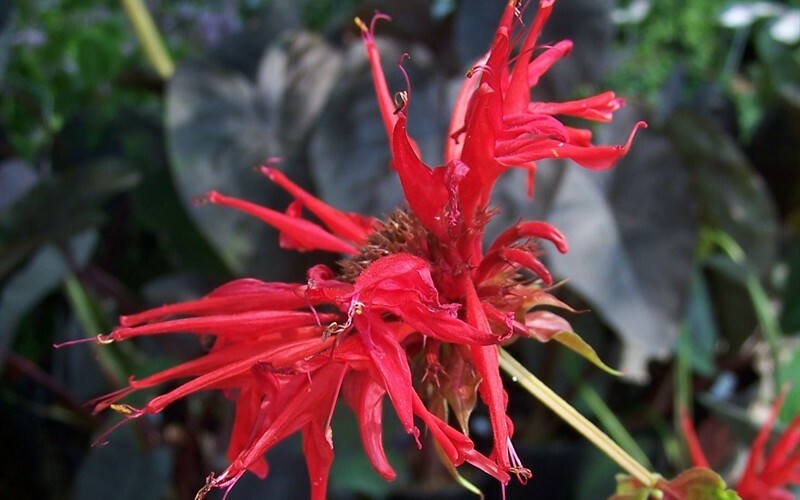 In the summer Jacob Cline Bee Balm produces scarlet flowers. The foliage is blue green and blue in color. 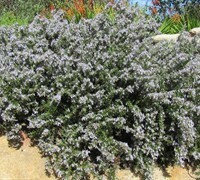 It attracts butterflies, hummingbirds, wildlife and visual attention and is resistant to deer, mildew and heat. If you like fragrance, Monarda Didyma 'Jacob Cline' has fragrant foliage. 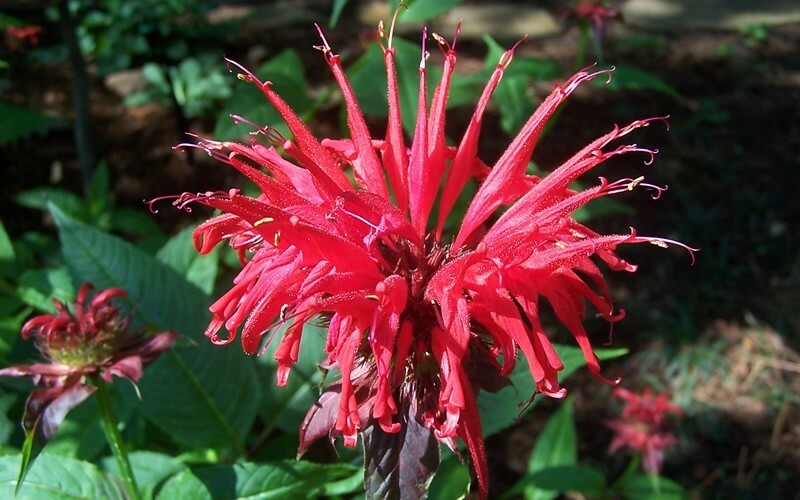 Jacob Cline Bee Balm can be useful in the landscape along woodland borders, in mass plantings, in landscape beds or islands or in small groupings and also in cottage gardens, butterfly gardens, hummingbird gardens, bog gardens or perennial gardens. This year they are getting beautiful. It takes a couple of years for them to establish themselves and thereafter they are abundant. I planted them where they can spread out. That's the trick since they are "invasive" I expect long years of pleasure from them. 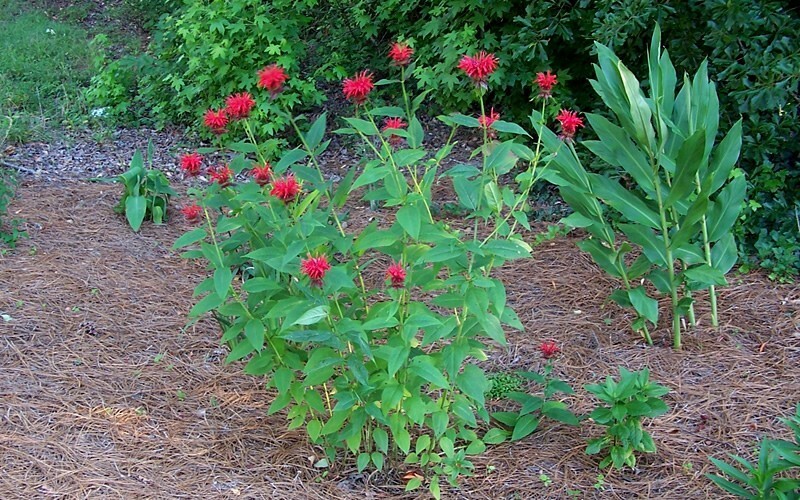 Wonderful.Planted My Bee Balm after I received. Watered it and Natures rain helped a lot .It is growing bigger each day. Hoping for red blooms this Summer. Will tell everyone to purchase from you. They are very careful in their packaging of all flowers.